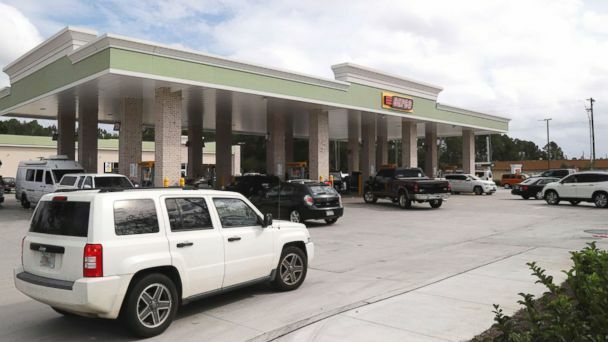 Hurricane Michael may be a monster of a storm, but it's unlikely to cause dramatic gasoline price spikes, energy experts said. Energy companies were evacuating platforms and rigs, and reducing operations for 42.3 percent of current oil production and 31.7 percent of natural gas production, as reported to the Bureau of Safety and Environmental Enforcement by midday Wednesday. Michael is the worst hurricane in over a century to hit the Florida Panhandle. About 375,000 people were under mandatory or voluntary evacuation orders across parts of 18 Florida counties, according to The Associated Press. While it's life-threatening for residents, the Gulf Coast's refineries -- which turn crude oil into gasoline, heating oil and jet fuel -- were mostly out of the storm's path. "The storm's path appears to be taking it well east of most of the GoM [Gulf of Mexico] production, so we expect a relatively quick return post-storm, though we will have to wait for word on damage," Paul Sankey, an analyst at Mizuho Securities, wrote in a research note to clients Wednesday morning. Despite dramatic storm images and precautionary measures, there were healthy supplies of oil inventories in the U.S. Gulf Coast prior to the storm. In recent years, fracking has chipped away at the Gulf Coast's dominance in U.S. oil production. "There is plenty of crude oil around, so the Gulf of Mexico platform shutdowns won't do much," David Hackett, co-founder of energy consulting firm Stillwater Associates, told ABC News. There's no threat to gasoline output since most facilities in the Gulf Coast's refinery row are still up and running, he added. "Chevron Pascagoula, the easternmost of the Gulf Coast refineries, shut down but the rest of the refining fleet is running," Hackett said. "The hurricane shouldn't have a big impact on the pipelines that carry gasoline from Houston to New York. Some stations may have run-outs as consumers fill up, but I don't expect widespread fuel outages." A Chevron Pascagoula Refinery spokeswoman told ABC News, "While we cannot speculate on any possible impact to operations, we are following our hurricane procedures and are paying close attention to the track and forecast of Hurricane Michael." On Wednesday, the national average price of gasoline was $2.91 per gallon, according to AAA. A year ago it was $2.49.